A great little waste paper bin, allows you to see at a glance if your bin needs to be emptied. 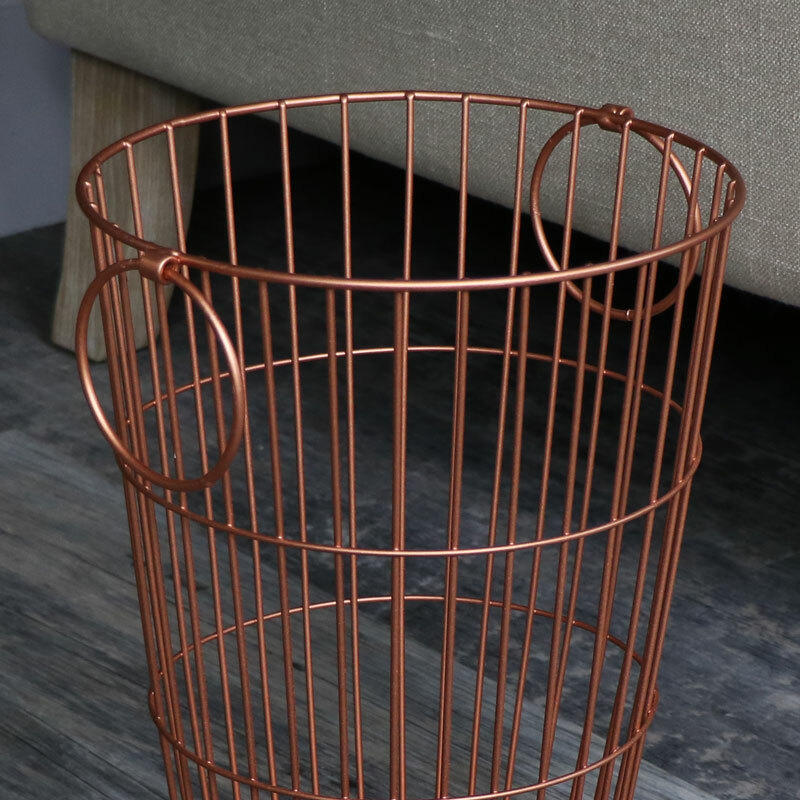 Wire metal bin with 2 drop ring handles in a stylish and vintage copper colour. A great little accessory for your home, place it in your living room, office, hallway, bedroom or bathroom. Small enough to put out of the way but stylish enough to suit any room and very useful. 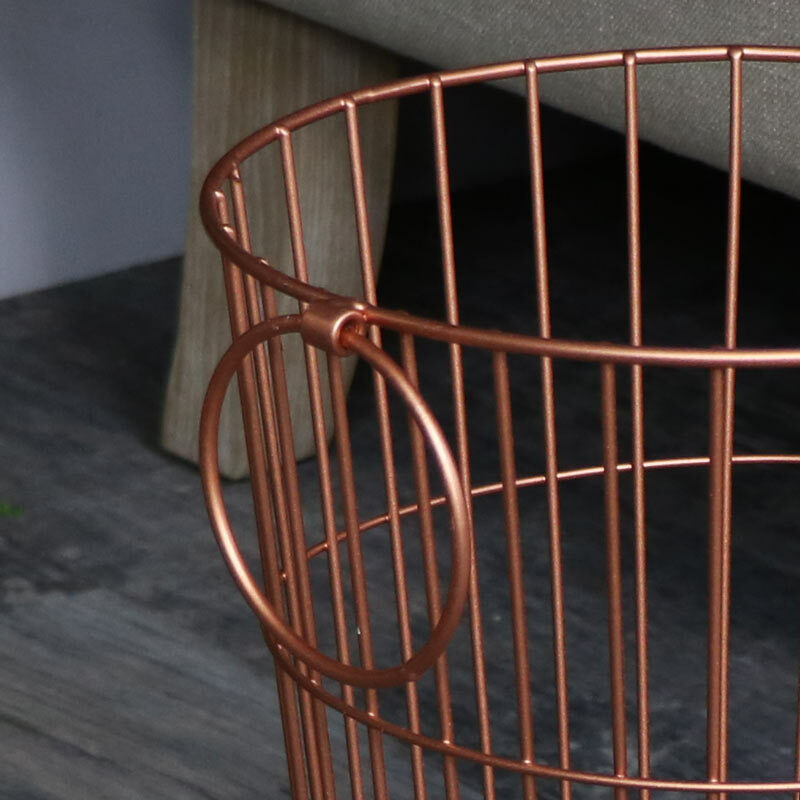 Made from metal in a sturdy design with handles that allow you to move it easily. 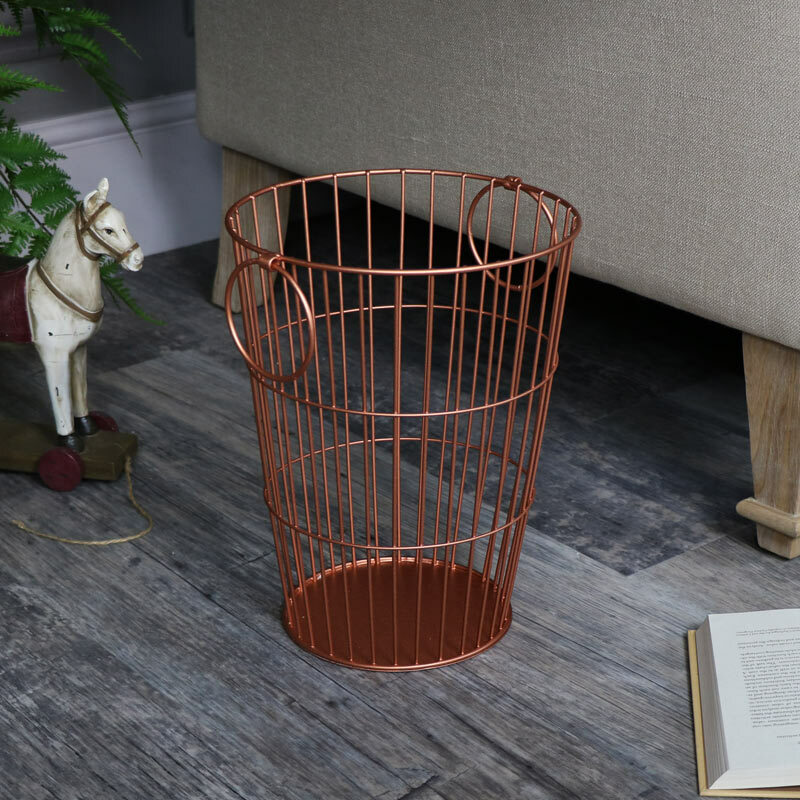 In a vibrant copper finish, we alos have this handy little bin in gold and a rustic brown finish. Part of our extensive range of vintage gifts and home accessories. Never be stuck for a gift for friends or family or a little treat for yourself.